SCALA ist a black and white reversal film intended for reversal processing. This is not a negative film which could be reversal processed rather it has been designed especially for this purpose. If Scala is reversal porcessed optimal exposure shall be set to 160 ASA. SCALA is coated onto a clear triacetate base and features an increased silver content (in comparison to a negative film) thus it yields a DMAX of 3,6 and higher (depending on the reversal process used). SCALA has an anti halation layer inbetween the emulsion and the base for optimal scharpness and detail contrast. 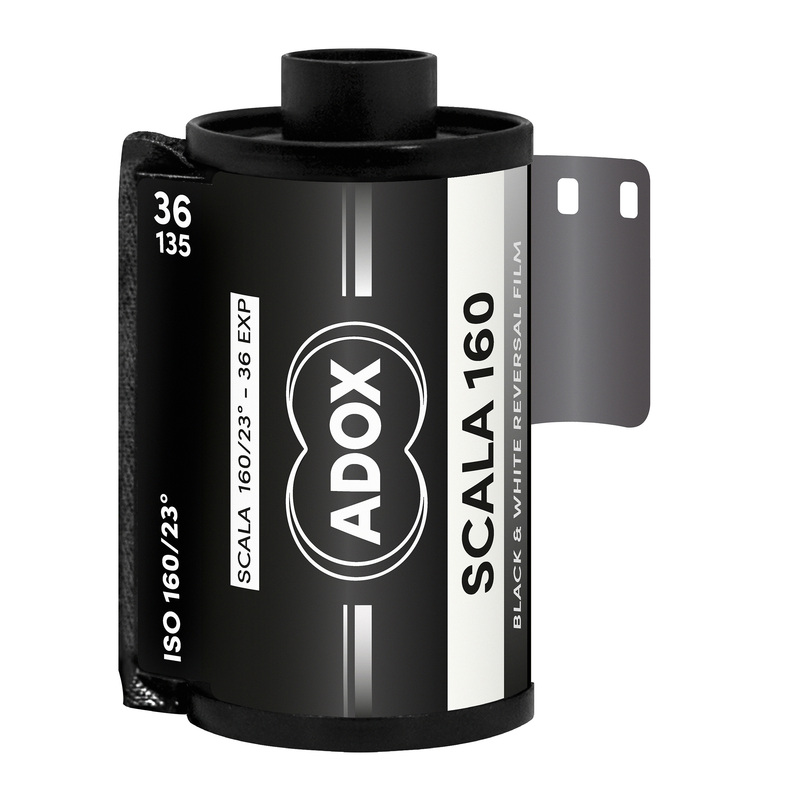 DX-Coding: Because ADOX films do not have a DX code please set the cameras lighmeter manually to 160 ASA. SCALA is practically APX 100 with a slightly finer grain and lower speed plus an increased silver content, the clear base and the AHU. In the reversal process it´s speed raises to 160 ASA. Shot to a negative it shall be exposed to 80-100 ASA (see ADOX Silvermax). Apart from sending the film to a lab you can use any standard b/w reversel processing Kit (NOT E6).